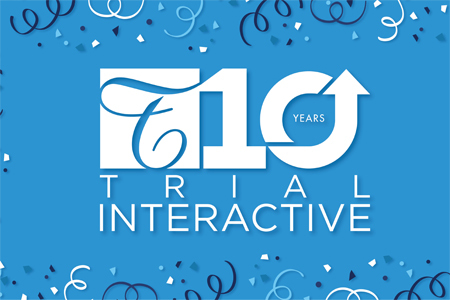 Trial Interactive turns 10 this year and we could not be more proud—from an early eTMFinnovator to an end-to-end e-clinical platform, we’ve grown tremendously. Part of that growth was in realizing early that effective e-clinical innovation is powered by partnership and collaboration, which has been possible with 25+ years’ experience in the life sciences industry and 10 years of experience in e-clinical innovation. In the process, we’ve learned many things. Let us rephrase that: clinical development teams have taught us many things.